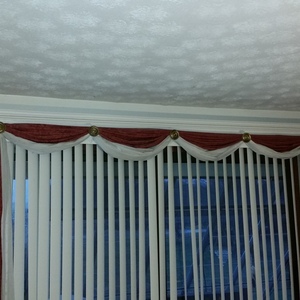 Purchasing a 1950's house, we inherited a previous owner's half baked trim job that badly needed to be covered . 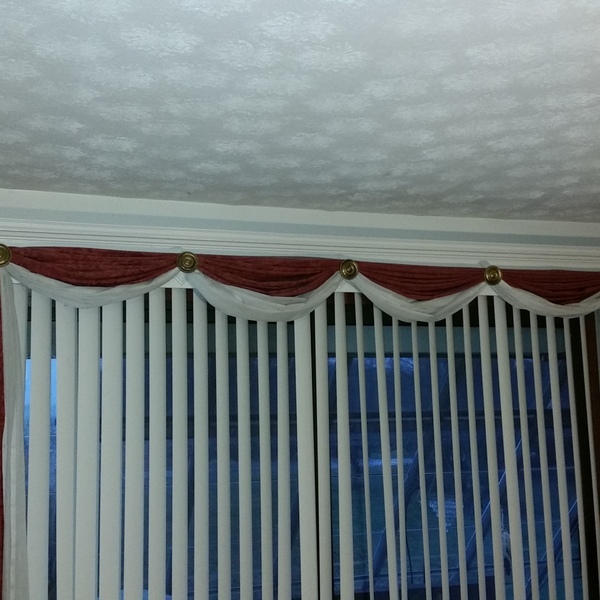 My quick fix was a box valance to class up the place. It went smoothly until it came to painting when my husband told me to caulk the seams with 100% silicone(he denies saying this). I discovered paint doesn't stick to well to it, but enough coats and it will eventually stick! So far, I've gotten praise from my sister and folks(and that's rare), so I'd say it's worth a thumb's up for this project! 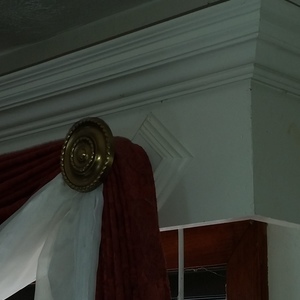 1X6, 1X8, CROWN MOLDING, AND 1/4 ROUND BASE TRIM.